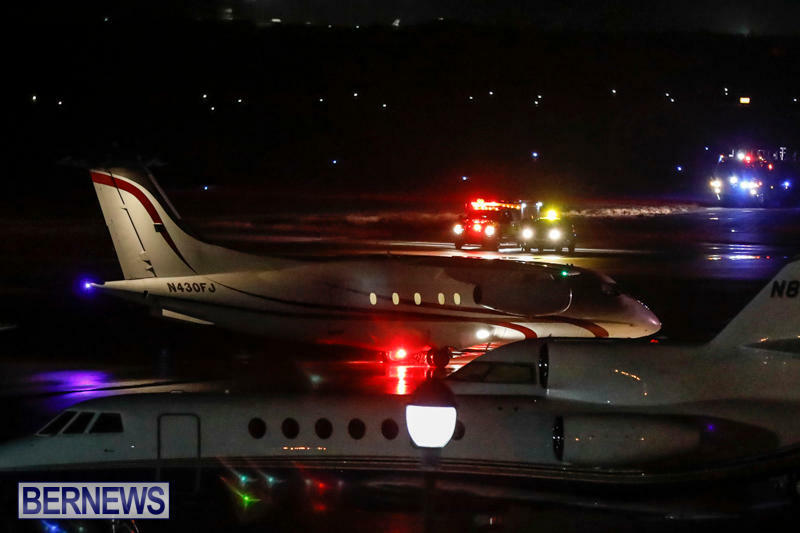 [Updated] A private aircraft landed safely at Bermuda’s LF Wade International Airport tonight [Oct 13] after the plane experienced a technical problem resulting in the pilot declaring an emergency and diverting back to the island. 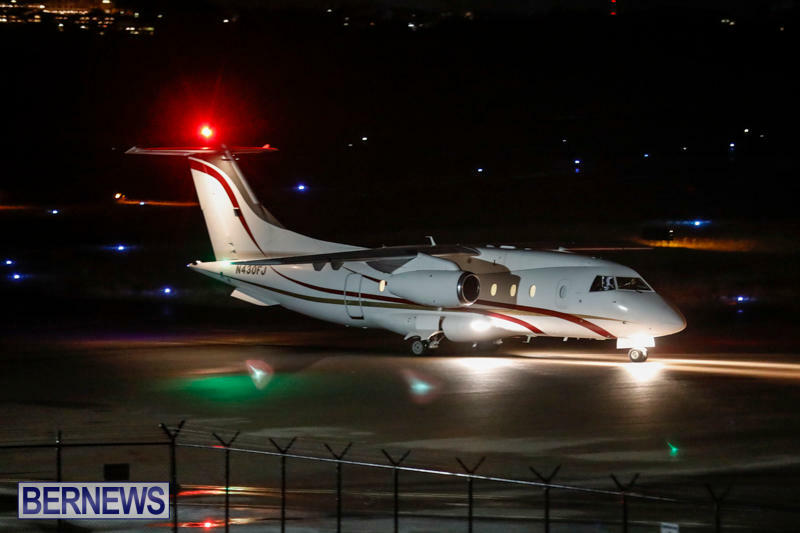 Bermuda Fire and Rescue Service trucks, together with an ambulance and police met the aircraft when it landed at approximately 9.30pm. The plane departed Bermuda just before 7.30pm on its way to Arturo Michelena International Airport in Valencia, Venezuela. Update 11.06am, Oct 16: A Bermuda Maritime Operations spokesperson said, ” On Friday 13th October, 8:35pm, RCC Bermuda received a call from Bermuda Air Traffic Control [ATC] advising that a private jet which had departed early this evening has declared an Emergency and is returning to Bermuda. “The aircraft, originally on route to Venezuela, developed cabin pressure issue, resulting in the need to return to the island. any landing you walk away from is a good landing! Bermuda, we have a problem. Perfect scenario for goody exchange.